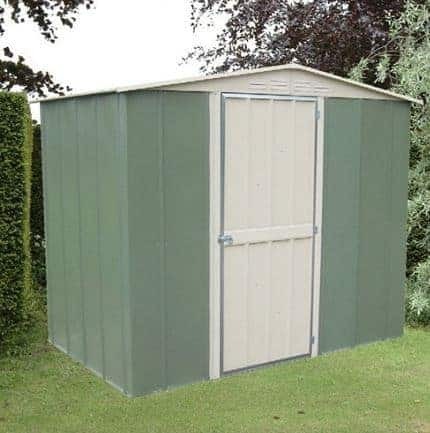 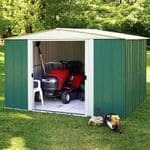 This 8 x 6 metal shed has a good hinge door as a feature. 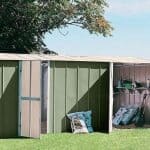 The hinge door allows for easy access into the building, which makes it a simple thing to transport equipment and tools to and from the shed. 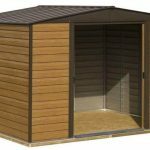 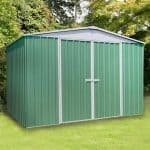 The building is made from zinc coated galvanised steel, so you have the ultimate in protection against rust. 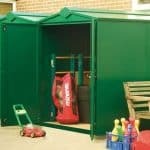 There will be no cracking or warping either, and a 20 year anti-rust guarantee brings further peace of mind. 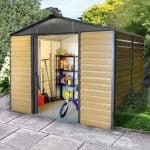 The building is also entirely rot and rodent proof, so it will suffer no damage throughout those 20 years.